Summer is quickly approaching and more elderly people will be heading out-of-town and will travel by car, plane, train or ship for their next adventure. AARP is reporting that adults 50 and older will be active travelers in 2017. More than 55% will travel within the U.S.; 42% plan to travel both domestically and international; and 3% are expected to travel solely abroad. 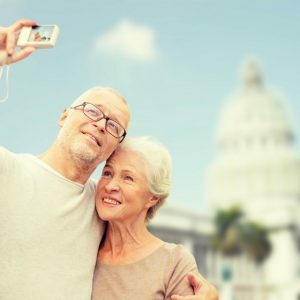 If you or your parents are one of the millions 50 and older travelers preparing for a trip, FirstLight Home Care has put together the following Senior Travel Checklist Essential that will help you stay safe and healthy while away. Did we forget something on our senior travel checklist? Feel free to add your suggestion by commenting on this blog or click over and join the conversation on our Facebook page. If you don’t want to travel alone or are worried about your parents traveling alone, FirstLight Home Care offers a Travel Companion Program that will make certain that your travel is as safe and stress-free as possible.